Walking is the best way to tour in historically rich cities wherever you travel in the world. No matter how attractive it may seem to take a double-decker bus or public transport to visit touristic sites, some things will still be missing unless you discover the streets by walking with a map in your hand. Taking a tour in Istanbul by walking is as equally crucial as walking in cities like Rome, Florence, Barcelona, and Paris. Furthermore, I can assure you as a person who’s been to these cities, it’s even more important to discover Istanbul by walking. The feature that makes Istanbul special compared to the rest of the cities in the world is that it’s located on two continents. However, it would be unfair to state it purely as a geographical fact. Istanbul, which serves as a bridge between the West and the East, is also a prototype of Anatolia and the blend of both continents. You don’t really need to go too far to see both European and Asian (especially the Middle East) themes in Istanbul. Even a short walk from Sultanahmet to Galata Tower and ending at Karakoy will prove that true. No doubt, both for domestic and foreign tourists alike, walking around the city is a really enjoyable activity. However, it’s also a fact that even Istanbul born and raised locals definitely miss some things. It will surely make you happy to find the places worth discovering on the streets of 2700 years old Istanbul. If you start taking a walk from Sultanahmet Square, you can visit Hagia Sophia, Blue Mosque, Hippodrome, Divanyolu Street, Cemberlitas, and Grand Bazaar. Then, you can go towards Sirkeci direction via Uzun Carsi Street. 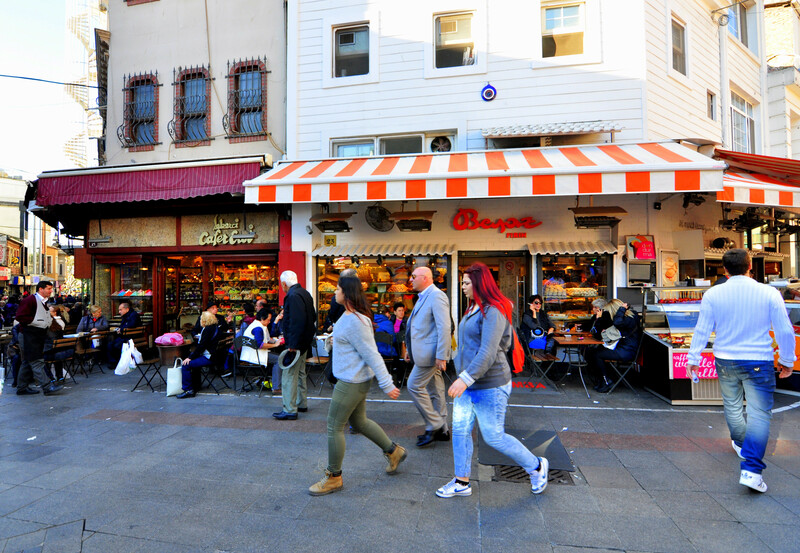 Sirkeci is the best place for local restaurants and dessert shops. Therefore, you can take a meal break here and visit the Spice Bazaar at Eminonu afterward. Generally speaking, you will have visited the works of Ottoman Classical Era Architecture up to that point. However, when you cross the other side of Galata Bridge, you will find yourself in Beyoglu that is characterized by the European architecture. 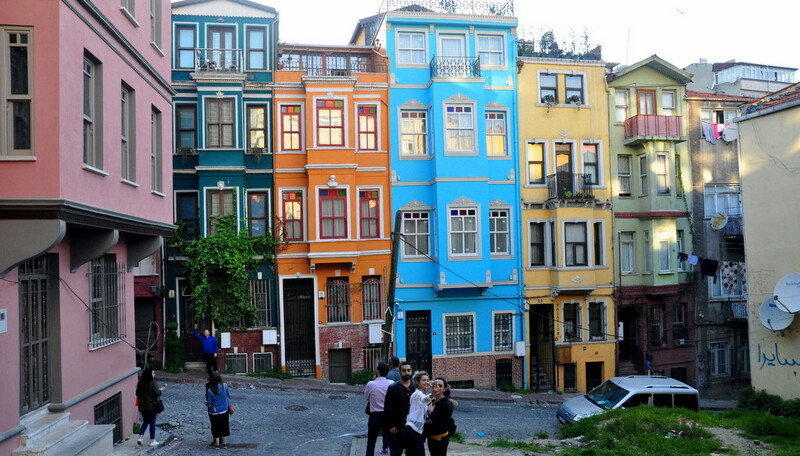 In recent years, walking tours that include Fener and Balat have gained tremendous popularity. These tours usually start in front of Kadir Has University at Cibali and end at Balat neighborhood. 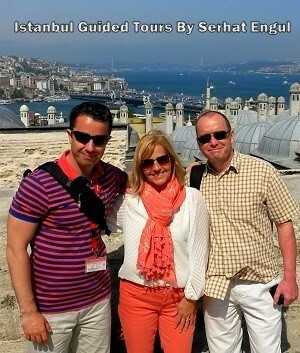 You should also note that this tour is an ideal weekend activity in Istanbul. Alternatively, you can always take Fener Balat walking tour individually too. You may start your tour from Kadir Has University and walk alongside historical city walls and take photos of the gates of city walls. Then, you can visit Fener Greek Orthodox Church, the most important monument of this route. Moreover, it’s possible to take a meal break at one of the cafes and restaurants around the streets that surrounds the Patriarchal Church and take some amazing photos on Merdivenli Yokus (Stairlift Slope) for your Instagram page. 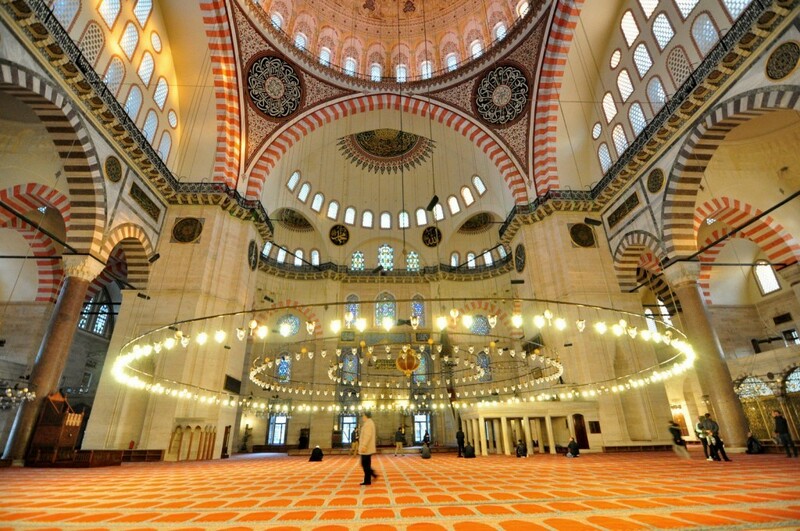 One third of the city was non-muslim in Istanbul during the Ottoman Empire. Fener-Balat trail is one of the best walking tours in Istanbul to enjoy the cosmopolitan architecture of Ottoman era. Undoubtedly, the Byzantine Empire and the Ottoman Empire are the most important empires in the history of Istanbul. And one of the walking routes from Zeyrek to Suleymaniye Mosque is how you can experience the cultural heritage of these empires. You can start your walking tour from Zeyrek Mosque (previously known as Monastery of Pantocrator) because this monument, like Hagia Sophia in the Byzantine Era, served as a church and it was converted into a mosque later. Once you cross the other side of the road by following the aqueduct, you will reach Sehzadebasi. This neighborhood was named after Sehzade (Prince) Mosque built by Mimar Sinan (most famous architect of Ottomans). It was commissioned by Suleiman the Magnificent as a memorial to his son, Prince Mehmed and it is one of the most elegant Ottoman mosques in Istanbul. Naturally, boza (fermented drink based on bulgur and yeast) is the first thing when Vefa neighborhood comes to mind. You can take a break at Vefa Bozacisi after visiting Sehzade Mosque and enjoy boza&leblebi (roasted chickpeas). 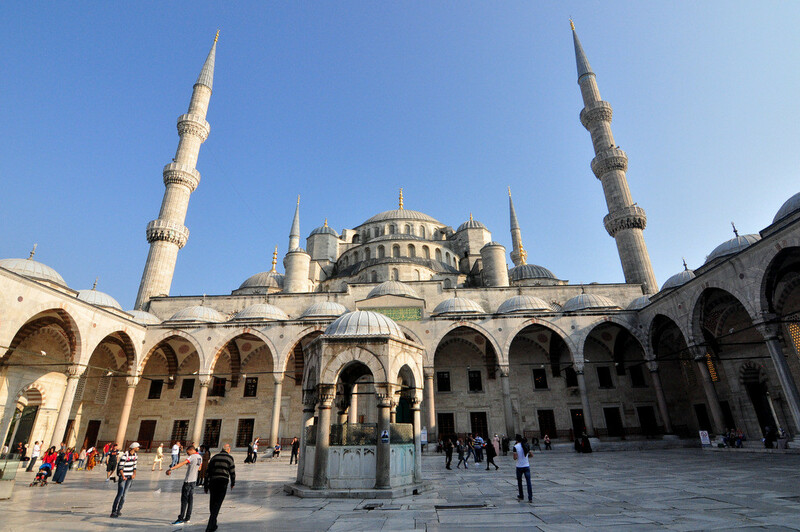 And your next step should be the majestic Suleymaniye Mosque. It’s the biggest mosque in Istanbul and it was also built by Mimar Sinan. If you want to keep your tour longer, you can get to Grand Bazaar by a 10-minute walk. This walking route from Zeyrek to Vefa and Suleymaniye areas will enable you to see Byzantine, Roman and Ottoman cultural heritage respectively. Kilic Ali Pasha Mosque is one of the small size mosques in Istanbul and it’s a really fine mosque that is among the top three mosques in that category. The mosque was built by Mimar Sinan and it was actually built for Giovanni Dionigi Galeni (Chief Admiral Ali Pasa), an Italian sailor in the 16th century. 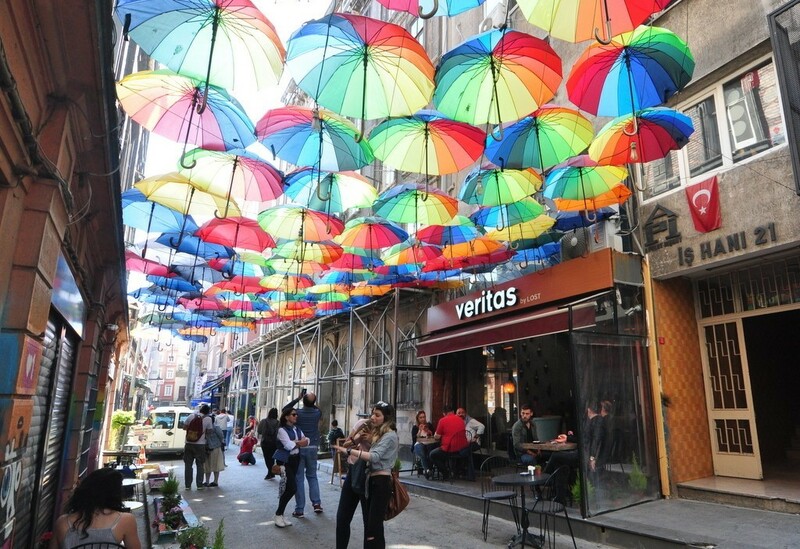 The street next to Kilic Ali Pasa Mosque has become colorful thanks to the cafes opened recently. You can take a coffee break at one of the boutique cafes on this street and continue discovering the side alleys of Karakoy. Karakoy and Galata used to be a cosmopolite neighborhood as they were a busy port during the Ottoman Empire era. As you can remember from history books, Venetians and Genoese tradesmen lived here and they played a crucial role in exporting the goods from the Silk Road to Europe. I am sure most of you are familiar with the route that starts from Taksim Square, extending over to Istiklal Avenue and ending at Galata Tower. However, what Beyoglu offers is not limited to the things you see on the main streets. 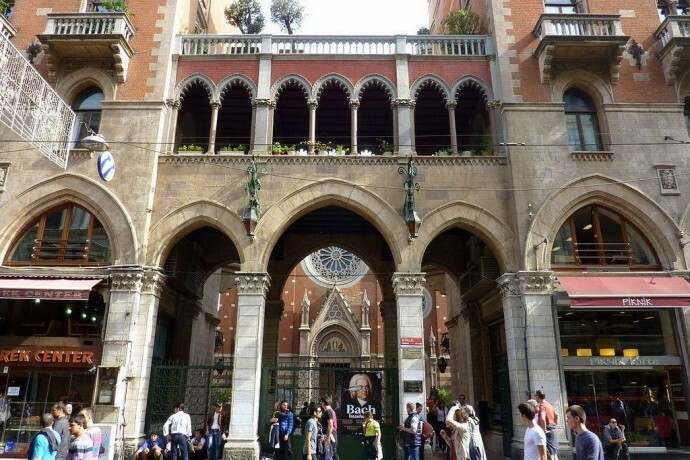 You can discover places you’ve never seen before if you walk the side alleys of Istiklal Avenue. There are really interesting walking routes in Beyoglu such as Cukurcuma Street (Cihangir), Mesrutiyet Street (Pera), and Serdar-i Ekrem Street (Galata). 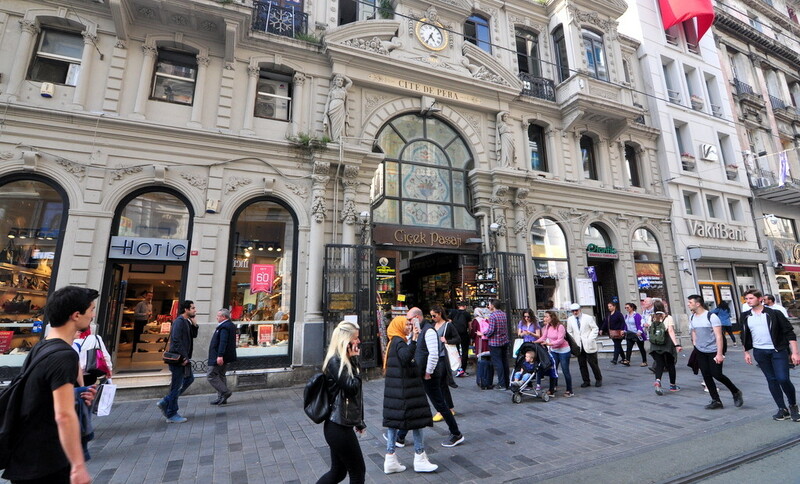 It will take a whole day to walk on Istiklal Avenue and nearby streets that reflect the 19th century of Istanbul to the best in the last century of the Ottoman Empire. Ortakoy is one of the most popular spots among Istanbulites for a weekend activity. You can have a great breakfast and eat kumpir (baked potato with various fillings) at Ortakoy, identified with Ortakoy Mosque and Bosphorus Bridge. After breakfast at Ortakoy, it’s a must-do thing to walk to Bebek direction and enjoy the breeze and feel the fresh air from the Bosphorus. As you walk from Ortakoy to Bebek, you will also walk past Arnavutkoy (where you will see many people fishing). This walking route also serves as one of the best slow paced running tracks in Istanbul. Plus, Bebek Starbucks is definitely the best Starbucks branch in Istanbul with its amazing view. Indeed, Bebek Starbucks branch may even be the one with the most beautiful view in the world. This place offers a majestic Bebek Bay view from a great point and you can end your walk with a nice coffee break here. If you prefer a local shop instead of Starbucks, I highly recommend you to choose Bebek Baylan. Karakoy is one of the neighborhoods that has witnessed tremendous development in Istanbul in recent years. Before you start your walk, you can enjoy some great breakfast at Namli Gurme and have a small portion of baklava at Karakoy Gulluoglu next to Namli Gurme. While you walk on the side streets of Karakoy, historical monuments like Kilic Ali Pasa Mosque will definitely attract your attention. You can visit Kilic Ali Pasa Mosque at Tophane Square and take photos of Tophane-i Amire Culture and Art Center that boasts an interesting architecture. Moreover, Istanbul Museum of Modern Art is also located on this line. You can visit it and enjoy modern art while you sip your coffee and enjoy the Bosphorus view. Then, you can visit Nusretiye Mosque and Bezmialem Valide Sultan Mosque (Dolmabahce Mosque) which are not far from each other. 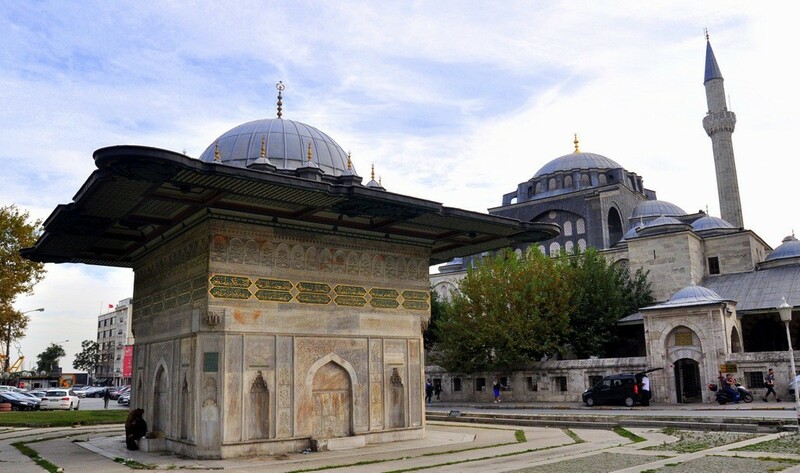 These two mosques are two important works of late Ottoman architecture. Meanwhile, it will take around two hours to discover Dolmabahce Palace, the most important historical monument on this route. Having your coffee at the café nearby Dolmabahce Palace is a lot cheaper compared to many others at the Bosphorus. Moreover, you will have a chance to enjoy your drink at a seaside café. If you decide to stay outside till evening, you can go to Besiktas and enjoy some delicious food at Besiktas Fish Market. You should note that one of the best doner shops of Istanbul is in Besiktas (e.g. Karadeniz Doner Asim Usta). Apart from doner, there are various fish restaurants at Besiktas. Kadikoy has always been known as the most popular neighborhood on the Asian Side. However, we can easily say Kadikoy has become a more important place of attraction in recent years as the entertainment sector of Istanbul has shifted towards this neighborhood. Thus, some of the best bars, meyhanes, and beer houses of Istanbul are located in Kadikoy. Furthermore, Kadikoy Fish Market is flooded by tourists thanks to Istanbul Culinary Tours that have become popular in recent years. And Ciya Sofrasi, the shining star of Fish Market is an indispensable spot to hit during such tours. 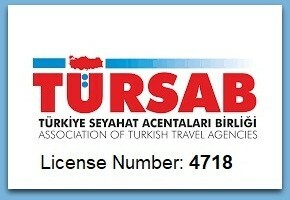 You can enjoy some of the finest cuisines of the Turkish kitchen and enjoy being a local tourist at the same time. As you walk towards Moda from Kadikoy, don’t skip visiting antique shops and art galleries on Tellalzade Street. This direction will take you to Bahariye Street, the busiest street of Kadikoy. While you continue walking to Moda direction, you can see some recently opened cafes like Asuman and take a coffee break at one of these awesome cafes. And, once you arrive the Cape Moda, a breathtaking view will welcome you. For residents who live on the Asian Side like me, the best walking route is the part between Bostanci and Caddebostan at Bagdat Street. This walking route that starts from Bostanci and includes areas like Suadiye, Saskinbakkal, and Erenkoy will give you the opportunity to do shopping, drink, eat and visit book stores. If you walk towards the coast after you arrive at Caddebostan, you can also enjoy the great park at Caddebostan too. There is another walking route (from the coast) to Kalamis and even Fenerbahce for the ones who wish to continue walking from that point. This waterside route offers a nice sea view and abundant green scenery. And if you continue walking to Fenerbahce direction, you should definitely visit one of the most nostalgic places in the neighborhood, Romantika.